noun: 1. 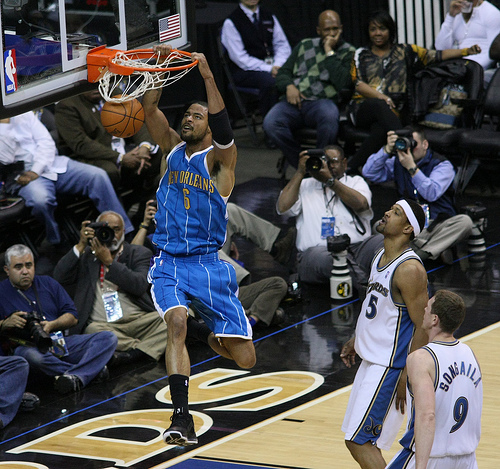 In basketball, a shot in which a player jumps up and slams the ball down through the basket. 2. Something easy to do or certain to occur. verb tr. : 1. To thrust the ball down through the basket. From slam (to hit or thrust), possibly of Scandinavian origin + dunk (to dip), from Pennsylvania German dunke (to dip). Earliest documented use: 1969. Keith Walley; Bloodguilt; Lulu; 2012. 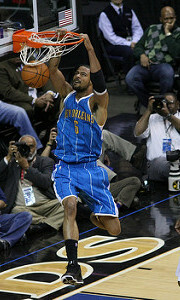 See more usage examples of slam dunk in Vocabulary.com’s dictionary.